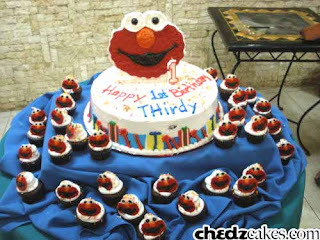 We made this Elmo themed birthday cake and cupcakes for Thirdy's first birthday. His mom gladly shared this photo with us. Thanks for sharing Mitzi!